Just doing what I do. On a cold Thursday afternoon in the studio. 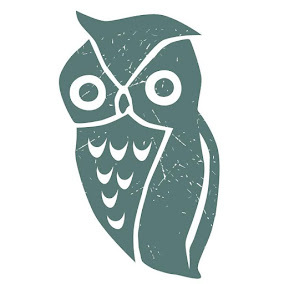 I find it VERY bizarre lately- when I find a color palette for my first initial creation of the day, it ends up being the color palette of the WHOLE DAY. Do you have that happen to you? I feel like all of these completely coordinate with each other. It's just Bananas. Wanted to show case this new tin I got, so I did a riveted disc necklace with a little bit smaller discs that I normally do for this style. These are 3/4" in diameter. I riveted the floral tin to teal cross-hatched tin from an old cookie tin. I created the brass infinity links with some brass wire. This is an improvement to the design, as this helps the discs to not flip as much. I added a pewter tag, off center on purpose. Elephants with Top Hats!? Where the Hell does Jade Scott find these things! My gosh I just love it! 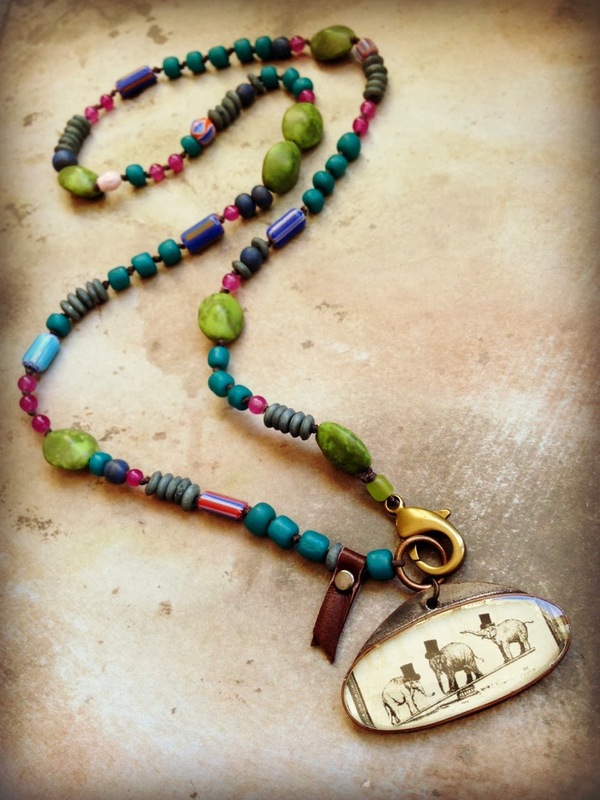 I added this onto one of my knotted necklaces with a rich teal, lime, magenta color palette. I know, mmmhmmmm. that was quick! 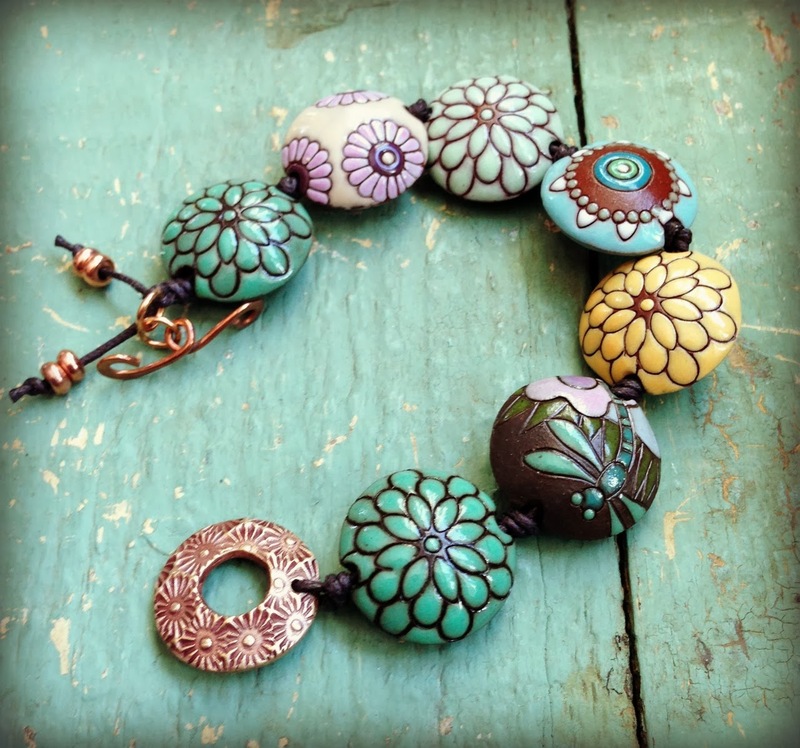 This Golem Studio Lentil bracelet always is a hot seller. 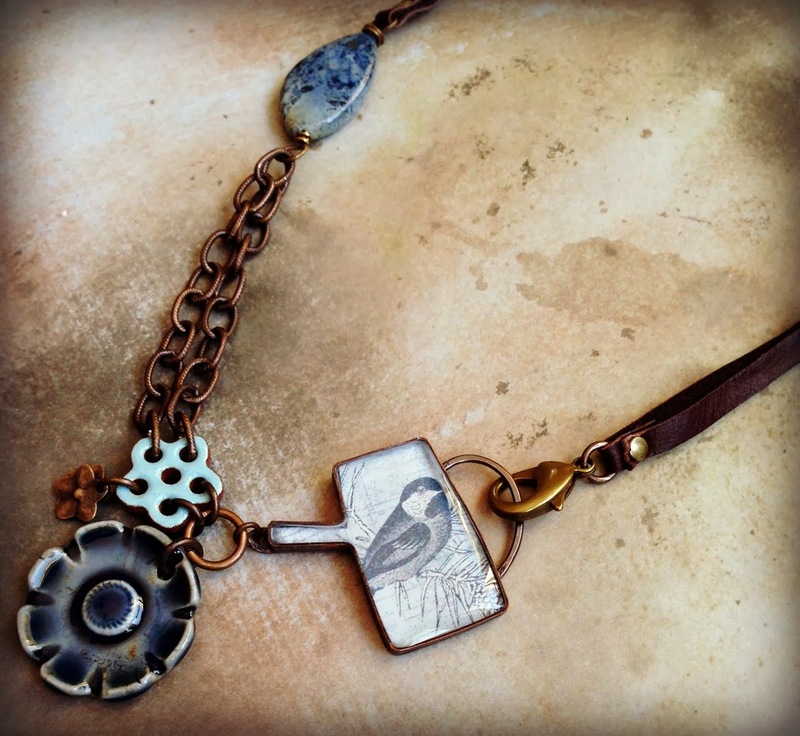 Riveted Tin pendant on Riveted leather strap with Mary Harding Flower charms and Pewter bird charm. 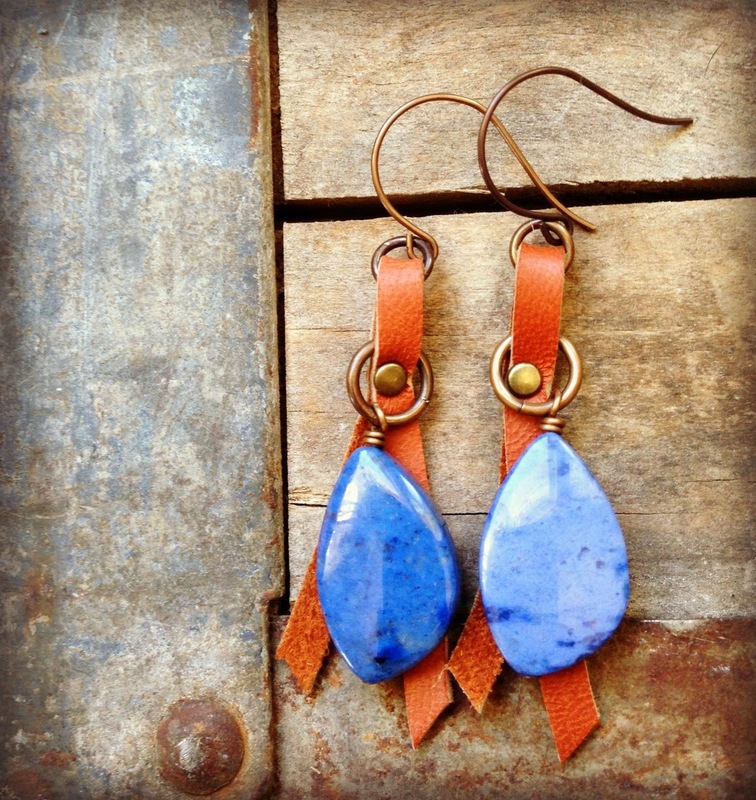 these gorgeous blue Sunset Dumortierite with the riveted leather! And finally this bad boy. Yup, this might fall into that category of Most Favorite, Best Thing I ever did make myself with my hands. 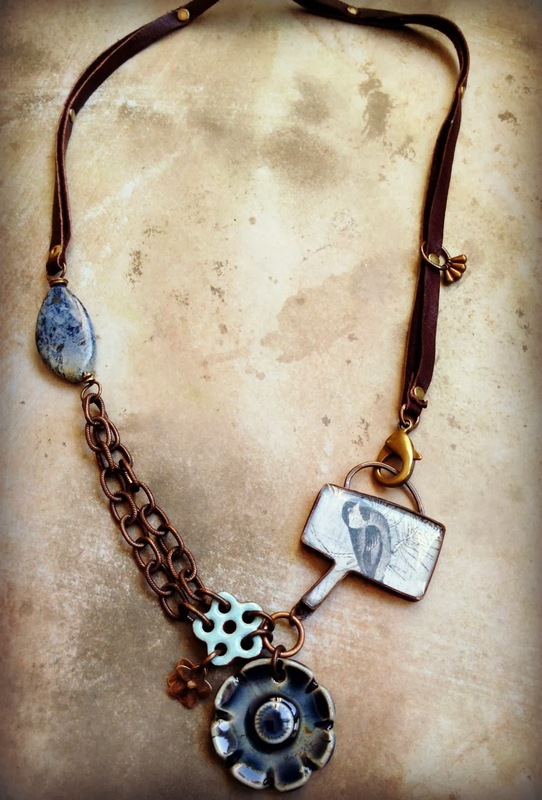 Riveted leather strap, Watering Can pendant, and flower motif- this necklace is just so me. I love it. Amazing stuff! I love the brightly colored shiny things paired with the leather. Lorelei your pieces never fail to amaze me. I love your style. My favorite today are the Dumortierite earrings. 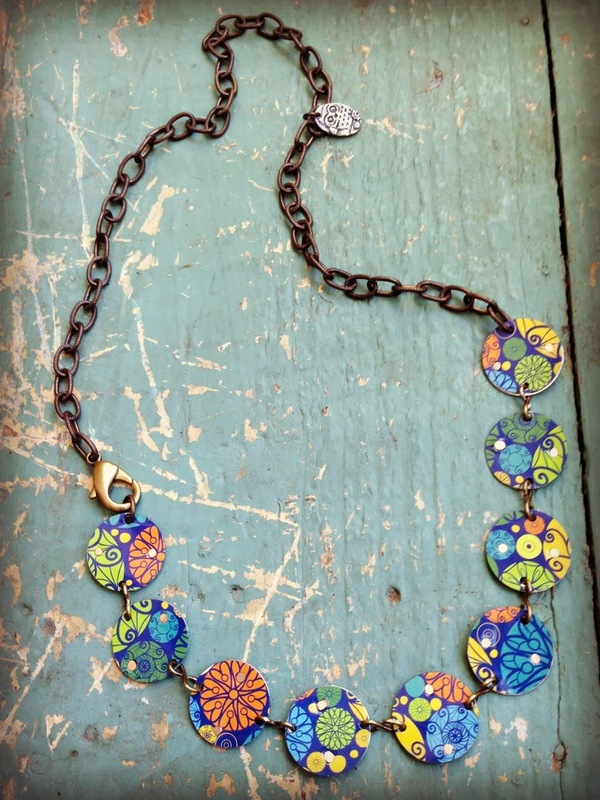 Love each piece in this collection and your designs. So much to appreciate in each one. 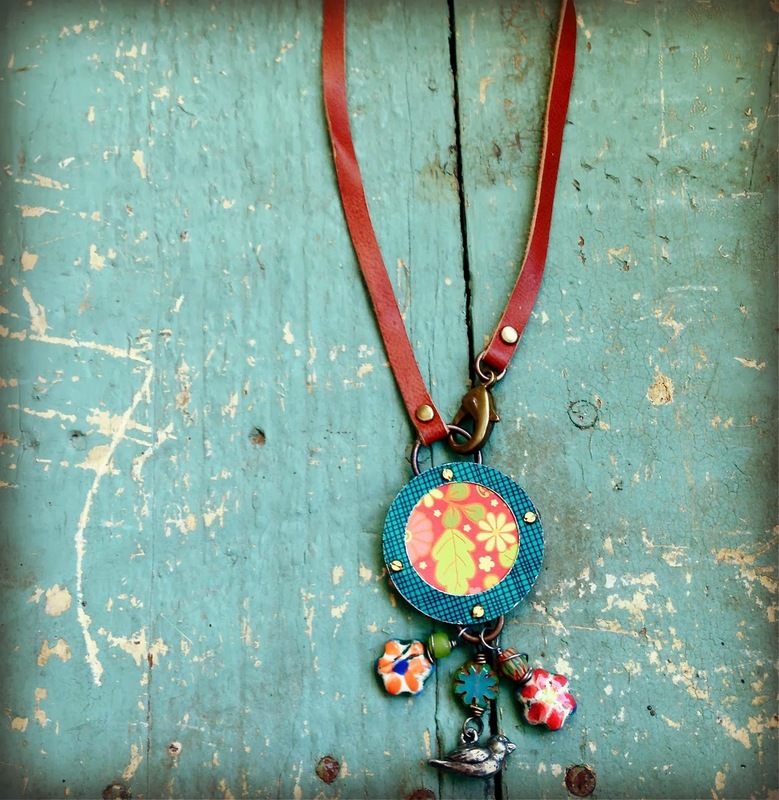 And your new riveted leather necks straps are fabulous!